We get the kids every other weekend, holidays, and school breaks (I wish we could keep them full-time). Usually I have almost every second of our time with them planned with things and activities to do. I like to stick to a schedule and get aggravated if it is not followed. My husband on the other hand is not big on following my schedules or being “on time.” I will admit though it gets very tiring working all week and running nonstop on the weekends so I don’t blame my husband one bit! When I am thinking of everything as another bullet on the schedule….I’m really not really spending “quality” time with my family. When we would be doing something as a family I would be stressing over what we were going to do after that or the next day. At my kids birthday parties I am always running around trying to make sure that everything is in order. I also don’t just go with the motions. I move the party along like it is on a strict agenda. Birthday parties are supposed to be fun! I don’t take time to enjoy that my kids are having a good time. My mind is always racing at these types of things and I usually become grouchy or short tempered. That is NOT fair to my family. I made a vow a few months ago that I would quit doing this. I want every second I spend with my kids to be quality time. I want them to have 100% of my attention. I don’t want them to remember back when Mommy Kirstie was always distracted or hateful during family outings. Worrying and being stressed is not good for our health but definitely not good for our faith. Before I got back into church I never thought of stress as being something that was a big no no when it comes to faith. Think about it….how do you think the Lord feels about you doubting his abilities by stressing if something was or was not going to happen? That’s pretty much a slap in the face to him. 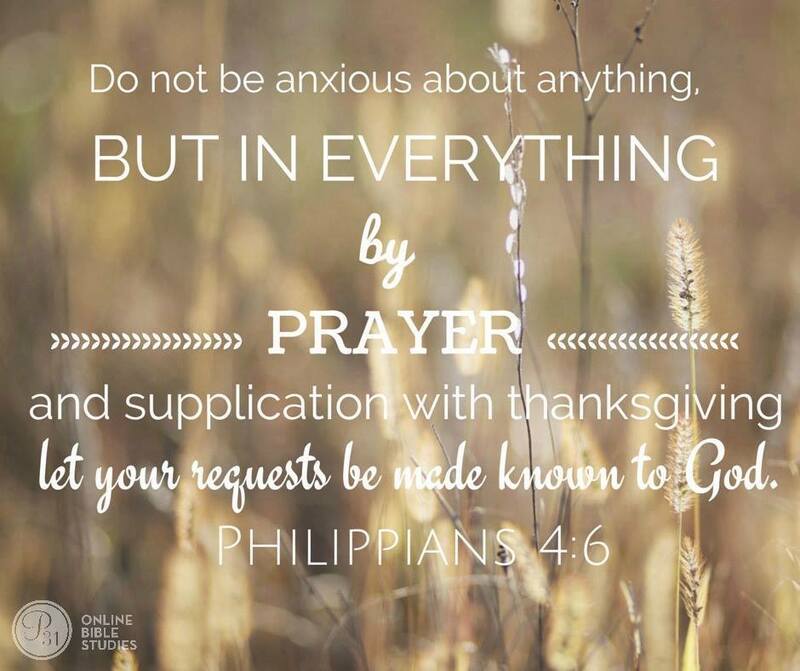 We are supposed to take our problems/worries/doubts to him in prayer. We learn this in the story of Martha and Mary in the book of Luke. 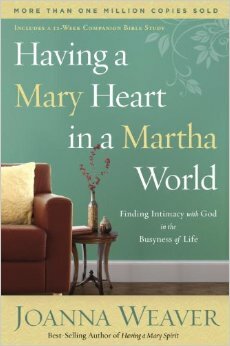 There is a book titled “Having a Mary Heart in a Martha World: Finding Intimacy With God in the Busyness of Life.” I have not read it yet but I know I need to and soon! It can be bought here on Amazon. All women should strive to be Mary. One way to start is by praying every time you start to get worried/stressed. I still struggle with this…but I can tell you that when I pray and truly mean it my family is blessed. Take your problems/worries/doubts to the one person that can fix them. Allow him to help you in your time of need. He will be your best and most faithful friend. Go to him and you will not be let down! Such amazing words to live by! I found this quote on Proverbs 31 Online Bible Studies Facebook Page. Click the link to go “like” them!